← Growing up in Norton. Growing up in Norton; Continued. Is just a short story of my early life in the small farming community of Norton in the then Rhodesia. So many names and such good fun. Riley’s and Wrench’s, Moor’s and Bryson’s, Dobson’s and Skea’s, Stewart’s and Lilford’s and many, many, more. These are a few of my favourite things. The Norton Country club played a crucial part of our upbringing as small kids and young teenagers and emerging adults. So I will start there and with tennis. 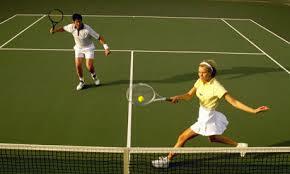 So from an early age we started playing tennis which culminated in the Junior Club championships. I always played boy’s doubles with Tony Dobson who lived on a farm just down the road from me and in latter years would become known as Pops, courtesy of going bald at a young age. The moral of the story is that we always and I mean always won which was a terrific boost for our egos. Dave Ferreira and Angus Hyland~Smith who were the same age as Tony and I. Dave and Angus were excellent players. Dave was akin to a brick wall and whatever you hit at him came back and Angus was full of flair and élan. 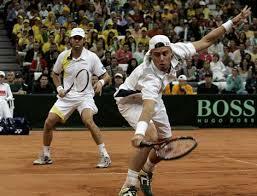 Every year thereafter we met up in the boy’s doubles final depending on your age group and every year we lost to them. Such is life and the same thing happened at the Hartley tennis championships which was a much larger area and included Gatooma as well. Then there was the mixed doubles and here is what this story is essentially about. Now some of the girls were older than us and a few of us better younger players were invited to go up a division and play with them. One such girl in question was Anne Lilford and she was an ace tennis player who always asked me to play with her. Quite why eludes me. perchance my sparkling turquoise eyes? The long and short of this is that we won the champs every year and the same thing happened at the Hartley championships. She was a fabulous girl and I got on really well with her. Now there came a time when my mother was in charge of looking after all us kids and I digress a bit here although I think it is a story worth telling? So into our area came the dreaded Polio. Can any one remember those terrible times? Luckily we all missed getting it, except for Sandra Stewart and it withered her right arm. Suffice to say she was a game old chick and taught herself to play left handed. Now we were long standing family friends and we celebrated nearly every Xmas with them as a family. My Mum was in charge of the tennis at this time and no-one wanted to play with Sandra. My Mum could not believe this and went on and on repeating, ‘why does no-one want to play with Sandra Stewart in the championships’? Eventually I said, ‘I’ll play with her Mum’. So I told Anne Lilford that I was going to play with her that year and she seemed really pleased about this. I told you she was a lovely lass despite being brilliant at tennis as well. Sandra was not a strong tennis player and when she served she had to hold one ball in her left hand and serve with the same hand. I’m happy to say we never went out in the first round either, nor the second, but we lost in the third. The long and short of all this is that I never regretted playing with her and she was full of courage. Perchance I drew on some of her fortitude when I went deaf a few years afterwards? Follow were Norton and Hartley and Gatooma were. South of the capitol Salisbury. represent Hartley Districts in the countrywide tournament. Were not times so great then and some many adults arranging and looking after all this. I have said it once and I will say it again. 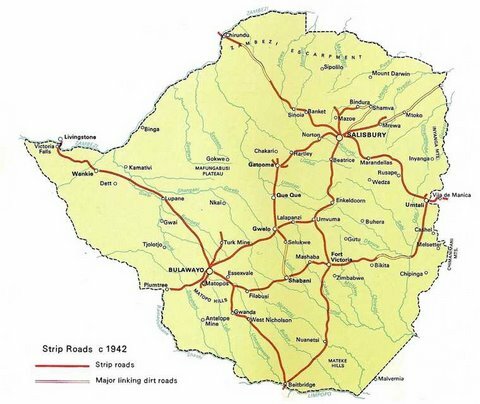 I was so proud to be Rhodesian and I always will. I forget from which district the couple Anne and I were playing in this round, except to say we were far superior to them as tennis players. The other bloke was very young and very small and both he and his partner played pat a cake tennis. He barely got one of Anne’s serves back and I was waiting like a hawk at the net. I went back and gave it an overhead smash and it went hurtling back. Unfortunately it hit the little twerp, slap bang, right in the middle of his forehead with such force that his four eyes (spectacles) flew from his face and he went down backwards like a felled Ox. Before Anne could chime in with great shot Spook, his mother and a lot of other Mammies (so Irish readers can understand), rushed onto the court. His Mother looked at me with such hatred and intoned venomously, ‘why you little beast’. Good gosh, golly gumdrops, jeepers creepers. However, the incident had unsettled Anne and I and before we knew it we had lost the first set and were 5-0 down in the second. Which means we were in big trouble and were one game away from losing the match. I had had enough so went up to Anne who was luckily about to serve and I said to her, sing Hey Jude, and we began harmonising. Hey Jude, don’t be afraid. Boom. Ace, 15-0. Take a sad song and make it better. Boom. Ace. 30-0. You were made to, go out and get her. Boom. Out, so Anne serves her second and Spook is waiting at net and puts it away. 40-0. Boom. Ace. Game, and we won the next seven games in a row to take the set. Then we won the next 6 games in a row for the third set and the match was ours. Oh ye beautiful thing. I always admired Anne but now my admiration for her knew no bounds. For a chick, she had the biggest pair of goens I have ever known. So many people not mentioned yet, the Grobelaars, Charl and Jimmy. Lu Bryson and an almost endless list of Skea’s and Riley’s and Wrench’s, all of whom were either great characters or great tennis players. You see on a blog post there is only so much space and people like fast and furious or as little to read as possible. No worries, I will get around to you all one day soon. This entry was posted in Books, Culture & Society, Education, Family, Family and Relationships, Farming, Healthy Living, Hobbies, Games & Toys, Kids, Parenting, Poetry & Writing, Relationships & Family, Sports & Recreation and tagged cattle, Country clubs, farming, Hartley, Hartley Junior tennis championships, irrigation, maize, Norton, Norton Country club, Rhodesia, soya beans, tennis, tobacco, wheat. Bookmark the permalink. 30 Responses to Growing up in Norton; Continued. What a great read, Kevin! This brought back so many memories, as I too played in the Hartley and Norton Championships and remember all the names you mention very clearly! Talk about a blast from the past. Thrilled to see you here Robyn and for the lovely comment and yes, I remember you to. My earlier question answered (re Plumtree;comment from the Brian fellow [Gifford..shame!]). Grey Vic and tell Kuanda I say howsit and thanks for the visit. HI SPOOK – ARE U THE FELLOW FROM PLUMTREE SCHOOL – 60’s and 70’s? I met Jono when he worked at udc Ltd. His job covered the Norton area & he played cricket for Norton Country Club in the winter league. He also played golf every Wednesday afternoon at Norton – it was all part of the job, you know!! All us girlfriends – of Riley’s, Skeas and Brent would drive down after work in Harare to join the boys & partake in the scrummiest of dinners made by the farmers wives! Always roast beef, roast tatties & Yorksire pud, always delish!! Such memories!! Remember him well and we played Country Districts together a couple of times. Lovely left hand bat. I loved the ros bif as well but ordered sausage, egg, and chips from the kitchen when the Afrikaans wives made babootie, sis man. Delighted to see you here Kathy and thank you kindly. Thank you my lovely cousin and delighted to see you here again. Thanks Kev – gosh how your blogs take me back! Love reading them. Pete and Louise popped in the other day with Anthony – we had such a good catch up but not enough time. They were off to Ants graduation. Delighted to see you here Wends and still have more to do especially mentioning you Wrenches, but, peoples attention span is so bad these days, so have to keep them short and then I forget to do another one. So glad they visited you and Ant passed. My how time flies. Always a good read , thanks Spook . The pleasure is mine John especially seeing you here and the wonderful comment. Some big words used for a Plumptree educated lad!!! As always another great story about growing up in a country town Spookman. Thank you Brian, for the visit and the comment. Gif ford all you’ve got lad. Ah Mike, memories eh and thank you for the visit, the wonderful comment and more importantly, the laughs. Great read Spook. Triggers a lot of memories, especially the Beatles. Although I played some tennis I was right into cricket whilst in various venues ( Wedza, Marandellas, Ruzawi River, Trelawney, Triangle ) of which I have many cherished memories. Country club life was so much part of our lives and such special times to be remembered. Cheers. Couldn’t agree with you more Michael and thanks for the visit and lovely comment. Cricket became my forte after I went deaf, took a long time and my tennis took a real dive as my balance was now very bad. Nice one, Spookers … I enjoy your rememberances of yesteryear. May you always have lead in your pencil …. Rob NuttyProf. Thank you Rob and for the laughs and the same to ye. so enjoyed reading that Spook I remember playing in Hartley too I think Colin Mason was my partner ! Enthralled to see you here Cherie and thank you for the lovely comment. Remember you well but Colin not so much albeit I do remember him. I only learnt to play tennis when we had our own grass court….on the farm! We did, however, have our farming neighbours over to play and even managed to entice one sales rep to visit us!! He only came so he could play tennis! Delighted to see you here frankie and thank you for the lovely comment. Funny but my wife and I had just built a grass tennis court on the okd Grobelaar farm Shingwiri before the gooks kicked us off so played very little on it. How sad. Yes – we were told to put down a grass court – the guy who helped us said if we didnt, our kids wouldnt get to play at Wimbledon! Thanks for the laugh frankie and my kids were ace tennis players especially Dagny the eldest, but, weren’t quite that level, oh lo, alas. Fabulous Spook, what an enjoyable read. Delighted to see you here Carina and thanks for the lovely comment. Wish there were more like you.